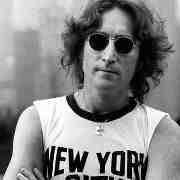 Thirty-one years ago today, John Lennon was murdered in front of his apartment building in New York. Lennon had millions of fans and a lot of friends. Many of them spoke to the media after his death. Some were very eloquent. Paul McCartney was not one of them. Their relationship as members of the Beatles was one of incredible creativity. But their friendship was volatile. They’d been estranged for years after the break-up of the group, and John had made some very critical, very public remarks about Paul’s solo efforts. But in December, 1980, they were speaking again, tentatively re-establishing their friendship. I’ve always been a huge Paul McCartney fan, but I remember being taken aback by what appeared to be an almost callous response. In retrospect, and with the benefit of experience, I know now that he was in shock. Now, when I see “friends” of people who have died waxing eloquent on cable news programs, I’m a little suspicious. I think McCartney’s reaction is probably much closer to what you or I would be able to immediately say to the media. So don’t feel bad if it’s difficult to put your grief into words. The words will come, eventually. Console yourself with memories. And in the case of John Lennon, maybe a song, too. I didn't talk to many people about my grief. What I did, as time passed, was talk to people about my parents' lives - the good times, the laughs, their parenting methods compared to mine. I kept on sharing the memories with people who had known them. We all handle grief differently. I think the kindest thing we can do for those who are suffering is to realise this. I think we all grieve in different ways. I tend to want/need to talk openly about the person,but then again that may vary depending on the depth of the relationship. And sometimes we don't even know how we'll react until it happens. I agree,it's best not to judge anyone in a state of grief.